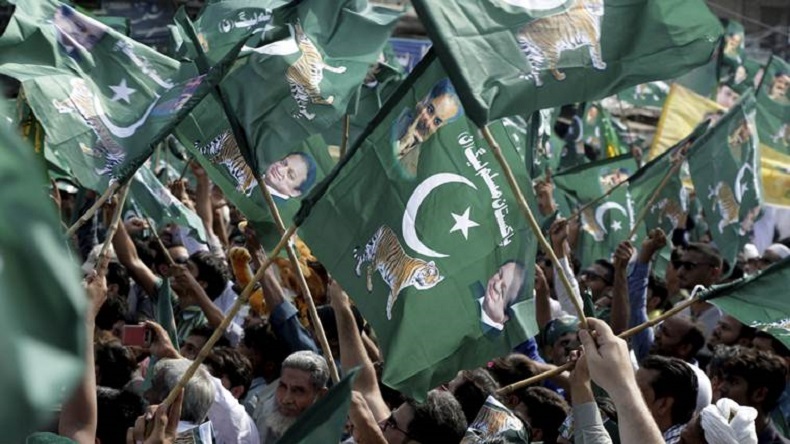 More than 100 million Pakistanis will cast their vote for nearly 12,000 candidates on July 25 in the general elections. The election will be a battle between Nawaz Sharif's Pakistan Muslim League-Nawaz (PML-N) and actor-turned-politician Imran Khan's Khan’s, the Pakistan Tehreek-e-Insaf (PTI). As political leaders in Pakistan are on the campaign trail ahead of the general elections in the country with gusto, United States enunciated concern over the participation of Lashkar-e-Taiba-affiliated (LeT) organisations in the polls. Though the Pakistan Commission has rejected the registration of Hafiz Muhammad Saeed’s Milli Muslim League (MML) in June, citing its connection with LeT, which is an internationally sanctioned terrorist organisation. Apart from the US, the European Union has also urged Islamabad to ensure that the electoral activities across the country persist with ‘safe and secure conditions’. Besides, 3 main political parties: Pakistan Muslim League (N), Pakistan Peoples Party (PPP) and, Pakistan Tehreek-e-Insaf, many Pakistani far-right religious parties are contesting in the country’s election. Leading among them is Mumbai terror attack mastermind Hafiz Saeed, who is the chief of the Milli Muslim League (MML), which aims to make Pakistan “cital of Islam”. Since the election commission has denied the resignation of the MML, it has fielded candidates from a small political entity called Allaha-u-Akbar Tehreek (AAT). Another hardline party is Tehreek-e-Labbaik Pakistan lead by far-right cleric Khadim Hussain Rizvi, which came to light when it blocked a major motorway in Islamabad protesting an alteration to the electoral law which they deemed as blasphemous. The party has fielded candidates on all the national and provincial assembly seats from Karachi. Another is the Ahle Sunnat Wal Jammat (ASWJ), a latest political incarnation of a Sunni extremist group, which was linked to sectarian violence. The extremist outfit was banned in Pakistan last month. Pakistan general elections 2018 will be held on July 25. There are a total of 342 seats out of which 272 are the general seats. Among them, 60 are reserved for women, and the remaining are for minorities. If a political party garners at least 137 seats, it is eligible to form a government.